About Valentina M. Message Valentina M.
My husband and I arranged a tour with Valentina M. to view the Valley of the Temples in Agrigento. It was a wonderful and fun filled day. Valentina is a knowledgeable and entertaining teacher. She is well versed in the geographic, historic, and cultural significance of the site. There was not a single question that Valentina was unable to answer fully and completely. It was the highlight of my trip to Sicily. We loved our tour with Valentina who was widely knowledgeable about art, history, architecture and politics. She consistently took our needs and interests into account—when we needed to sit, when we wanted to go into greater depth on a subject, when to stop for a cannolo made in a cloister. She is warm, smart and has impeccable English. Perfetto! Valentina gave a superb 3 hour tour to our group of 13 at the Valley of the Temples. She met us on time, smiling, and ready. Her English was fluent, easily understandable, and has a nice lilting cadence making one want to hear what she says next. She is pleasant, professional, and confident. She pulls on her art history degrees to bring the archaeological site alive with facts and stories. She engages the group (versus lectures), patiently responds to questions, and establishes a comfortable pace. Valentina was extremely informative, not just about the Valley of the Temples, but about Sicily, answering all of our questions. She also took into consideration that we are older travellers and organised breaks and short stints on the mini-bus. Well-informed, articulate and looked after us extremely well. A great day seeing Sicilian landscape, as well as the temples. Valentina’s tour reinforced why I always choose to book with “Tours by Locals” instead of selecting one of the cruise ship tours. With a limited amount of time in the Trapani area, we visited the salt pans, saw the incredible Doric Temple at Segesta-one of the best preserved in the world-and visited Erice. Erice has incredible views overlooking Trapani, and Valentina made the history of the two castles come to life. We ended our day with an incredible lunch at a restaurant that is a favorite with locals. Valentina was very informative as she guided us through the Valley of the Temples at Agrigento. Her knowledge of both ancient history and SicilIan history and culture were very impressive. We enjoyed our time with her and learned alot. She also was very kind and considerate to meet us at our hotel so that she could drive with us to the site. We highly recommend Valentina and this tour. Valentina is very enthusiastic about her 'land', as she calls it. And for good reason. If you visit Palermo, make sure to book Valentina as she is a knowledgeable and passionate guide. Valentina and her excellent driver Dario gave us a very nice tour of Corleone as well as surrounding areas. She picked us up at our hotel in Cefalù which was very convenient for us (some tour guides make you meet them in Palermo). She was flexible and took special care to customize our tour by suggesting ideas that made the most sense for us. Specifically, she took us to the street where my grandmother was born and helped translate a conversation with some of the locals who currently live there. Valentina was a great guide and gave us a lot of local knowledge about Palermo. The information on the Inquisition history was great. Thank you Valentina fir the tour, just a pity that the weather was so hot. Had a great walking tour with Valentina. Wealth of historical knowledge - great for our first day in Sicily as it was super helpful to get the lay of the land. Personable and especially liked her presentation of the most interesting facts on Palermo and Sicily. She took great care of us!! Excellent guide, very knowledgeable, informative and ease to adapt the schedule as per our requests and personal interests. We took for different tours of Palermo and surroundings; each one was a learning experience and unenjoyable outing. At the end of one tour she suggested a change in the schedule, considering our interests in art and architecture and we toured Gibellina,an innovative " New Town" experiment that flourished after the devastation created by the 1968 earthquake.I highly recommend her ! Valentina has been our absolute favorite guide!! She is charming, bubbly, has excellent English, and is VERY knowledgeable. She made our visit outstanding; four days of touring with her was varied and so much fun!! My husband has some physical challenges, and Valentina immediately modified her plans to make our sightseeing as enjoyable and easy as possible. What is unique about her is that she goes above and beyond ! Fabulous sights, Fantastic lunches, great shopping and lots of laughs! Valentina was wonderful. She was so knowledgeable and personable. She made our time in Palermo so much more meaningful and enjoyable. We had a wonderful tour with Valentina that covered Palermo, Montreal's and Cefalu. She provided excellent insights into the complex history and colourful culture of Sicily. Her background as an art historian made our visits to the cathedrals very memorable. Highly recommend! Five out of five. Valentina was amazing, so knowledgeable and made the day very informative & fun. Would definitely use her again if available for future tours. Amazing and wonderful guide! So knowledgeable and fun!!!! I would reserve her any opportunity that I could get. Valentina was terrific! We thoroughly enjoyed our time walking around Palermo with her and seeing various areas. She also gave us a fabulous restaurant recommendation. My wife and I were delighted to have had Valentina as our tour guide. She is friendly and fun and made our walking tour of Palermo a truly enjoyable experience. She is an expert in the art history of Palermo and taught us much about how the unique art treasures found there were shaped by the cultural cross currents brought about by the various invasions of Sicily over the millennia. She showed us secret corners of Palermo that are not included in most tours. Highly recommended! To say that our guide, Valentina was a good tour guide would be like saying Albert Eienstein was a good patent clerk. We loved her. She was a superstar. A certified historian, Valentina gave us the tour of a lifetime. If she is available, grab her. There is none better. TOUR GUIDE RESPONSE: Bill, thank you so much. It means a lot for me!I am sure we will keep in touch and I will see you again in New York. I wish you all the best, you deserve it! Valentina was an amazing guide and I recommend her to everyone. She showed us the wonderful streets, sights, churches, and markets of Palermo and helped us understand the complex history and culture of the region. With a warm and friendly personality, Valentina makes you feel like you have more than a guide in Palermo ... you have a friend. TOUR GUIDE RESPONSE: Dear Jeff, it was a pleasure! Thank you and your family for the beautiful words;) See you soon in Sicily! Valentina is knowledgeable and personable. She was really easy to get along with, took her time in allowing us to enjoy the city, and took us to some really lovely spots. 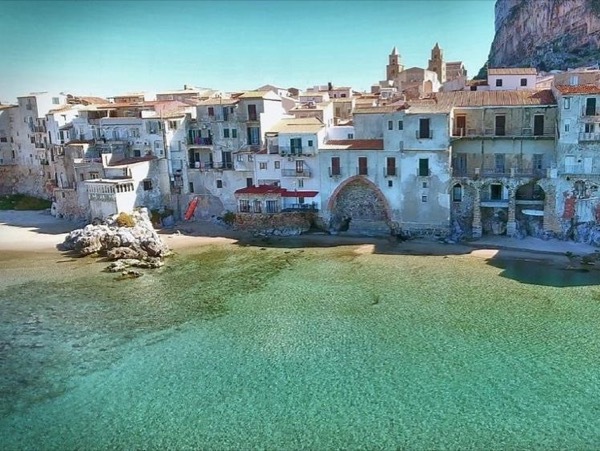 Bicycle riding in Palermo is not for the faint-hearted though, so be prepared for a thrilling ride in local traffic and really experiencing things on the ground. My rating is 5 stars hands down. Valentina is an excellent guide with a rare talent for blending the personable with her extensive knowledge of art history, delight in describing the mosaics, and Italian culture. We booked her for two days and we're very happy to have done this. She goes the extra mile and took us on our request to an excellent ceramics store. She's flexible and easy company. You won't be disappointed! Valentina is an excellent guide! We had the pleasure of her guiding us for two days. She's personable, flexible, goes the extra mile, is very knowledgeable about Palermo and we especially enjoyed her extensive knowledge of art and history. She loves her work and this is very evident. At the end of the tour we requested a recommendation for a restaurant and she picked out a very good one and walked us to it. Highly recommend her. We booked a half day tour with Valentina in Palermo and could not have been happier with the experience. Valentina was prompt and professional, quickly replying to my questions beforehand and my email to confirm the tour a day or two prior to arriving in Palermo. 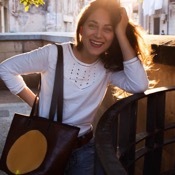 Valentina is extremely knowledgeable about Palermo; she holds a PhD in art history. We loved that she was willing to give recommendations and talk about any subject re: Sicily. Overall great experience and highly recommend her. A wonderful and charming guide with a passion for Palermo and its ancient past.Highly recommend. Valentina was warm, professional and very passionate about her city! She made Palermo and its history come to life for us through our walk through the city and its historical places! We were able to get a glimpse of places we would never have found on our own! We highly recommend Valentina! She was one of our hi-lites of this 3 week visit to Italy! Our only complaint is that we didn't have time to do another tour with her! Valentina was a fantastic guide. She had passion & extensive knowledge that she was more than willing to share in a charming & engaging manner. She managed the itinerary expertly for our interests & what we had already visited along the way. She also gave us great tips for the rest of the trip. Highly recommended. Pleasant and knowledgeable guide. Had a great tour with Valentina. Customized our tour to our taste and interest. Delightful tour with Valentina! Customized, full of details and education, and fantastic food and wine. We had an ideal visit. Thank you, Valentina! Excellent guide and lovely tour with cultural history of region. Valentina was an excellent guide for our tour. She was very knowledgeable about the long complex history of Palermo and also extremely passionate about the people. She was amazing in her ability to combine history, people and culture. Her approach was very personal making our family feel very welcome. I would highly recommend Valentina for an enjoyable and memorable tour of Palermo. We walked around Palermo with Valentina who provided us with insightful knowledge about the history and culture of this fascinating city. She met us at our hotel and took us on a walking tour of local sights and markets providing lots of background information as she went along. We would never have got an understanding of Palermo nor seen some of the less featured sites without Valentina who showed us around in a way that was interesting, informative and informal. Great tour and guide. Highly recommended.